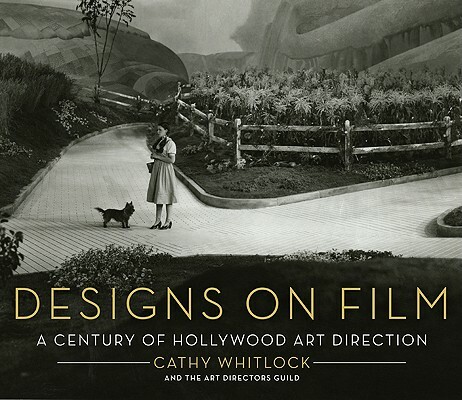 With hundreds of rare photographs, set sketches, and original renderings showcasing films of every era and genre—many shown here for the very first time—author Cathy Whitlock offers movie fans a backstage pass to 100 years of Hollywood’s most memorable film sets. In the vein of Deborah Landis’s Dressed: A Century of Hollywood Costume Design, Whitlock’s Designs on Film delivers a fascinating tour through Hollywood’s back lots, including the stories of how numerous movies came to their final on-screen looks—whether by collaboration, conflict, or divine chance. Movie enthusiasts, set designers, and fans of classic and modern Hollywood will thrill for this look behind the scenes of Tinsel Town’s greatest triumphs. Cathy Whitlock is an interior designer, journalist, and the author ofRe-de-sign. She is a contributing writer for Traditional Home and The Huffington Post and her design, film, lifestyle, and celebrity profiles have appeared in American Airlines Celebrated Living, Architectural Digest, Glamour (UK), and Veranda magazine, among others. Her blog, Cinema Style, chronicles the world of art direction in film. She lives in Nashville, Tennessee. The Art Directors Guild is the successor to several organizations, the earliest formed in 1924 in Hollywood. The Guild is both a professional society and a labor organization, recognized as IATSE Local 800. Its 2,000 members practice the art-crafts of: production design, art direction, illustration, set design, model making, graphic design, matte art, scenic art, and title art. Thomas A. Walsh, a narrative designer for film, television, and the Broadway stage, has served as the Guild's president since 2002. “This lush book of pictures and drawings showcases big-screen glamour over the decades, from the opulence of Cleopatra to the more modern majesty of Batman.